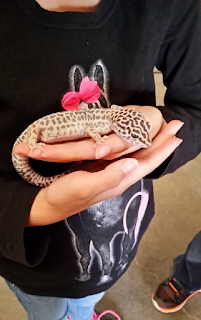 Look at her, you can tell right away that she loves animals. 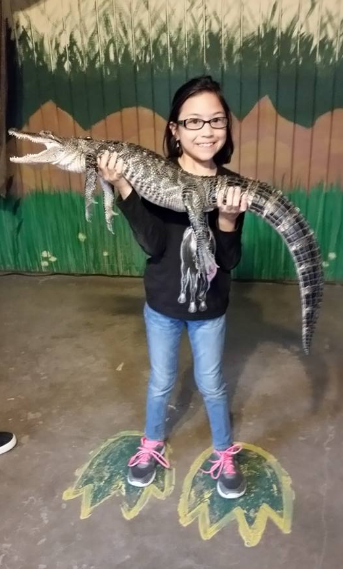 She is not scared touching and holding them. I don't like snakes. When we went to Philippines for vacation, I tried to fight my fear of snake and try to hold it at once just for picture but I am really scared on it. 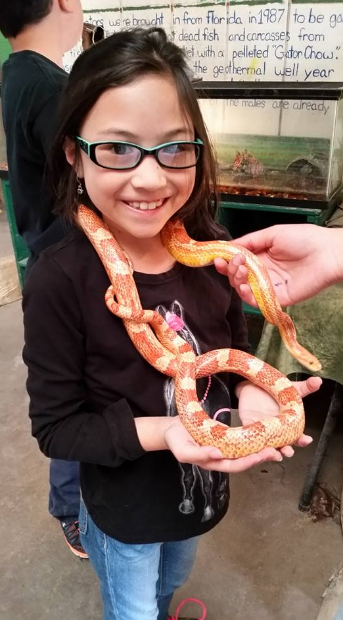 Just watching my little girl holding the snake, I thought to myself, "hmmm she is more braver than me". 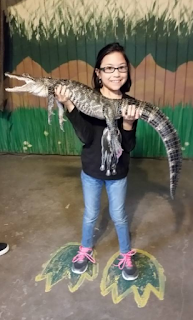 She knows that the snake is used to people and that the snake is so nice and won't bite her as well as the baby crocodile and the lizard and actually she told me that she wanted to work at the zoo to take care of all the animals and become a veterinary too! I am very proud of her!